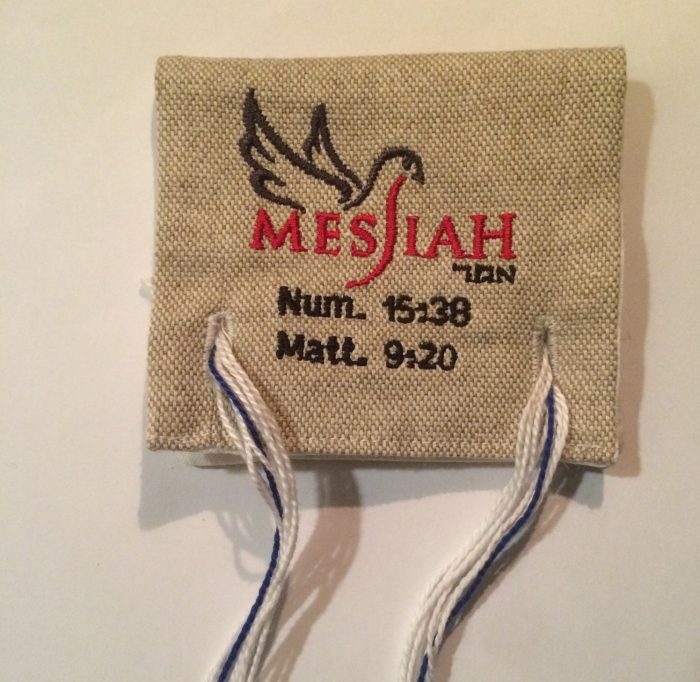 If you consider yourself joined with the Children of Israel, desire to wear tassels on the corner of your garments, plan to promote this covenant throughout your generations and would like to have the symbolic blue thread already included in your fringes… then these 3X3 inch tallits or mini messianic prayer shawls with tzi-tzit, are just the thing for you. You can pin these 100% cotton beauties to your garnets or wear them on your belt… extremely versatile was our intention. Finally, the Messiah Echad Tzi-Tzit were inspired by Numbers 15:38 and Mathew 9:20, which will help you live like Messiah (Jesus), while being inspired to see, remember, and do the commandments. *All Tzi-Tzit are braided and blessed, by Messiah Echad.